This open story on learning code was originally posted on Code.org’s blog. It is about Gili Rusak, a girl who developed an Android app to help younger girls learn code. 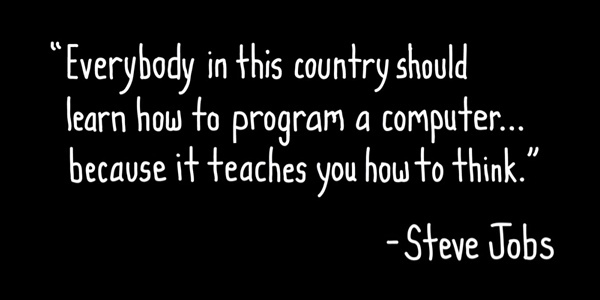 If that inspires you to learn, join our mailing list of coding and entrepreneurship resources. Earlier in her high school career, Gili developed an Android app called Codester which helps kids learn computer science. This year, the high school junior received NCWIT funding and partnered with Girls Inc. to host coding workshops for elementary- and middle-school girls! Tell us about your app. The first time that I ran a prototype of my app on an actual smartphone was extremely rewarding! When you see the finished product it is sometimes easy to forget the hundreds of lines of code that go into making the app itself work. But when you develop the app yourself, you see the code and the outcome. Programming is such a useful and empowering tool and I am so happy that I have gotten into it. What is it like teaching younger girls computer science? The younger students teach me at the same time as I teach them. I’m amazed when 7-year-olds are utilizing the app that I had made! I found that at a young age, the gender and race barriers melt. This is a great age to engage girls and get their attention for the subject. They will grow up with the idea that computer science is for them. In my programs, the girls taught the boys, students interacted with one another, and the collaboration was excellent. Do you have any advice for students who don’t know how to start learning to code? # 1 – Start simple: take an introductory course first, either through Code.org or other courses on the Internet. Computer science is a lot of fun. It’s very rewarding to get your first program working, even if all it does is read, “Hello World!”. 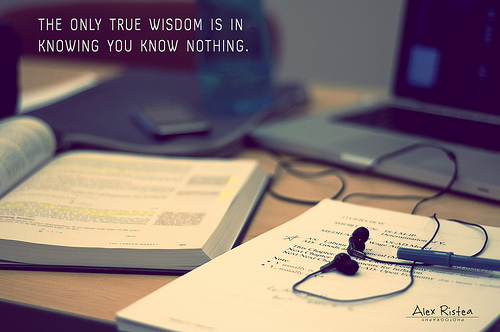 # 2 – Don’t hesitate to ask questions if you don’t fully understand. # 3 – Know that computer science is very multidisciplinary. For example, when I first began developing Codester, I did not imagine how much art, creative thought and user consultation I would have to do. No matter what you’re into, understanding of computer science will help. Learning code is critical to understanding how the digital economy of the future will work. Much as we learn writing to instil in us the ability to relate to the perspectives of others, coding serves as a portal to understanding the logic that dictates the flow of information back and forth between different agents: the underpinning of the 21st century. I began to learn code by working with a technical team at my previous startup ThoughtBasin. I’d say the process began with a natural curiosity towards peering at their screens, and then talks with them about the logic of code, and then applying that into practice with gamified platforms for learning code such as CodeAcademy. The one piece of advice to all of those on the fence looking in I’d give is to start now. There’s no reason to delay. Sign up for my newsletter for entrepreneurship and code resources if this inspired you to learn. Open stories are a new section of code(love) that focus on the personal stories of entrepreneurs as they build. This is genuine truth and insight from entrepreneurs on the ground. If you have a similar story, let us know at [email protected], and join our mailing list for more! This story is that of Tamer Rafla, the founder of Hironomy. Hironomy was born out of my frustration of the broken hiring process. Existing mainstream job boards (e.g. Monster, CareerBuilder, etc.) had proven to be ineffective in finding my dream job. I had to go through endless pages of job postings to only apply to a few where I felt that I had the necessary skills/experience to make a difference. Unfortunately, that was often the end of the road for my candidacy as I was never called for an interview. When following-up with one of these employers, I was surprised to hear that my application had fallen through the cracks due to the large volume of applications received. Long story short, I ended up getting that job once my application was looked at in more detail. I am convinced that I am not the only one suffering from this and there must a better way to ensure a win/win for both parties. Hironomy is that better way. It is a recruiting system that assesses employers’ corporate culture and also helps in capturing the behavioral abilities and cognitive abilities they are seeking in a candidate. This ensures that employers don’t wade through mounds of applications – only the ones that fit; while jobseekers only see the jobs where they have the highest chances of being called for an interview and eventually hired. It prevents what happened to me happening to anybody else.